Pitzer College congratulates its graduating seniors and alumni who have been awarded 2017-18 Fulbright US Student Program fellowships. Find out more about the Fulbright program at Pitzer College and see a cumulative list of all student and alumni Fulbright Fellowship awardees. 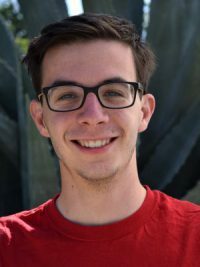 Tyler Cohen ’15, a sociology major, has been awarded a Fulbright to Thailand, where he will teach English to fourth, fifth and sixth graders in the southern province of Nakhon Si Thammarat. He plans to use his skills as a self-motivator to help make English-language learning memorable for students. Outside the classroom, Cohen aims to learn more about Thai cuisine and produce collaborative artwork. After his Fulbright year, he hopes to engage in intergenerational collaborations in a variety of venues and become an educator. Kyra Ghosh ’17, a history major, was awarded a Fulbright to teach English in Indonesia. She plans to use skills she developed teaching schoolchildren English in Senegal, as well as other innovative pedagogies in a high school in Indonesia. Ghosh’s host country engagement will include creating an afterschool batik and poetry workshop. After her Fulbright year, she plans to earn an MA degree before becoming a high school teacher. Ghosh studied abroad with the School for International Training (SIT) program in Senegal. 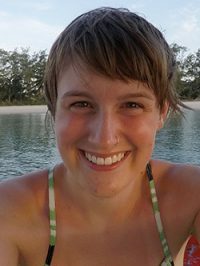 Julia Gibas-Jones ’12, an international & intercultural studies and narrative studies double major, was awarded a Fulbright ETA to Brazil. She plans to use international news, in both mainstream and social media, as a tool for content-based instruction. Outside the classroom, she will use Portuguese to immerse herself in her community and to gather a collection of oral histories. 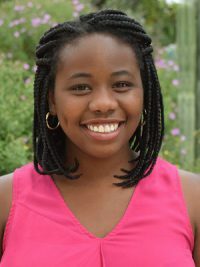 While at Pitzer, Gibas-Jones studied abroad in Botswana, Morocco and China. Natalie Honan ’17, a human biology major, was awarded a Fulbright ETA award to Spain. She will use her Spanish language skills and passion for teaching to help design a culturally relevant and intersectional curriculum. Honan will engage with her community by teaching health education to high school students. While at Pitzer, she went abroad to Argentina and Chile. In the future, she plans to go to medical school. Jordan Jenkins ’17, a political studies major and Spanish minor, was awarded a Fulbright to teach English in Spain. She will make use of her Spanish language skills to bring a collaborative and dialogical approach to language learning to create a productive and engaged classroom. A cross country and track runner, Jenkins hopes to establish an after-school running program in order to promote discipline, self-reflection and personal growth. At Pitzer, she was a Writing Center fellow and her future plans include introducing the Writing Center’s practices to high school students. Jenkins studied abroad in the Pitzer in Ecuador program. 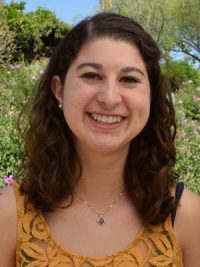 Davida Koren ’17, a sociology and organization studies combined major, received a research Fulbright to Canada, where she will examine the impact that the Truth and Reconciliation Commission of Canada has had on Aboriginal Educational programming. For her community engagement, Koren plans to become a tutor or teaching assistant at an elementary school in the district where she will conduct her research. During her time at Pitzer, Koren tutored at School on Wheels and Camp Afflerbaugh-Paige. 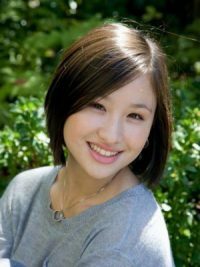 After returning to the US, she plans to apply to graduate school and study educational programming that advocates for marginalized groups. Douglas Lewis ’17, a public policy analysis-sociology major, was awarded a Fulbright Fellowship to teach English in Bulgaria. 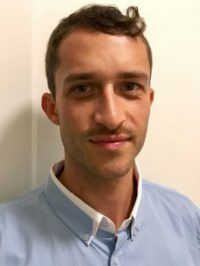 At Pitzer, Lewis was a Writing Center fellow who served on the College’s Appointments, Promotions and Tenure Committee and studied abroad with the Pitzer in Nepal program. Ultimately, Lewis plans to pursue a master’s or doctorate degree in public policy with a focus on education. Aminah Luqman ’17, an international political economy and Spanish double major, received a Fulbright award to teach English in Colombia. She will draw upon her experience teaching ESL to Spanish-speaking day laborers, as well as past teaching experiences in Nicaragua. In Colombia, Luqman plans to learn more about the African diaspora in the Americas and ultimately use this knowledge as a teacher or policymaker committed to education reform. In Colombia, she also plans to engage with the community through her love of music, dance and soccer. Luqman participated in the Sarah Lawrence College exchange program in Cuba. 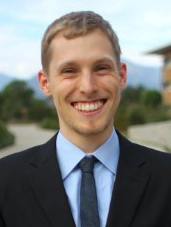 Andrew Lydens ’17, a philosophy, politics and economics major, received a Fulbright ETA award in South Korea. 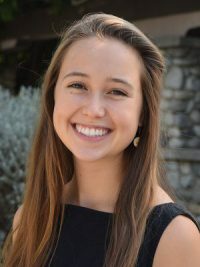 At Pitzer, Lydens served as the student body president as well as the Judicial Council chair. He said he believes that his leadership background, along with his cultural awareness and teaching skills, will be key to a successful learning experience. Additionally, by tapping into his love for the outdoors and organizing a hiking group in his community, he hopes to create a forum for language and cultural exchange. 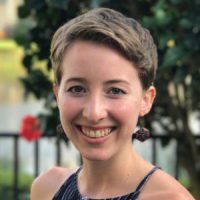 Rebecca Nathan ’17, psychology, studio art and gender and feminist studies triple major, received a Fulbright ETA award to South Korea, where she plans to focus on interactive student-led learning, while maintaining the cultural relevance of the test-based Korean educational system. Nathan has family in North Korea, so she plans to mentor and tutor North Korean defectors as her host county engagement activity. Upon completion of her Fulbright, Nathan plans to enter the Peace Corps in Mongolia. While at Pitzer, she participated in an exchange with the University of Essex. 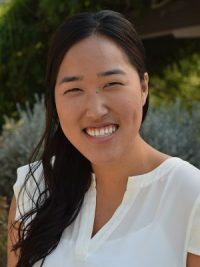 Kristen Park ’17, a psychology and Asian American studies double major, was awarded a Fulbright to South Korea to teach English to high school students and North Korean defectors. She aspires to create a classroom that allows students to take ownership of their knowledge and English education. Outside the classroom, Park will volunteer with a nonprofit that helps resettle North Korean defectors through educational empowerment. In addition, she would like to start a running club for high school students. Park plans to pursue a PhD in education with a focus on equity in higher education. Lily Peterson ’17, an international and intercultural studies major, was awarded a Fulbright to teach English in Malaysia. Drawing on her passion for teaching and her interest in the intersection of education and culture, she plans to create activities that help students engage with English and US culture. Outside the classroom, Peterson will use her background in literature, theater and art to design narrative-based activities for youth. 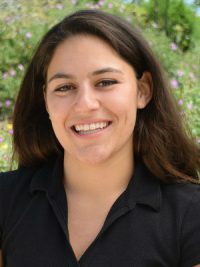 At Pitzer, Peterson served as an admission fellow, a peer-health educator, Student Senator and conducted research with Professor of Creative Studies Albert Wachtel. She studied abroad with the Pitzer in Italy program. Uriel Rafael ’14, a human biology and psychology double major, received a Fulbright to teach English in Mexico, where he will use a student-centered, culturally relevant pedagogy, based on his bilingual fluency and personal experience as a language learner. Rafael will also volunteer as a mentor and work with a nonprofit organization called Dream in Mexico that helps deported individuals reunite with their families. His future plans include earning a PhD in educational psychology. 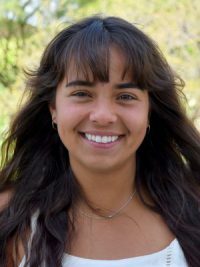 Rebecca Rubin ’17, a human biology major and Spanish minor, was awarded a Fulbright to Mexico to teach English. 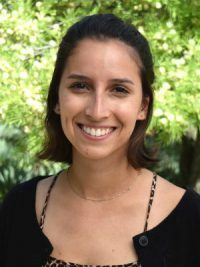 Drawing on her extensive experience with youth as both a teacher and health educator in Latin America, Rubin plans to use project-based lessons to encourage students to learn through collaboration. She also wants to volunteer with an organization that works with Mayan communities to promote economic independence for women while preserving cultural heritage. After her Fulbright year, she hopes to attend medical school.